Need a print job and thinking of getting it done in Malaysia? With the strong Singapore dollar versus Malaysian Ringgit, Singaporeans might be tempted to get custom tshirts printing job done in Johor Bahru. Let us look at the pros and cons of getting a custom tshirts job done in Singapore versus Malaysia. 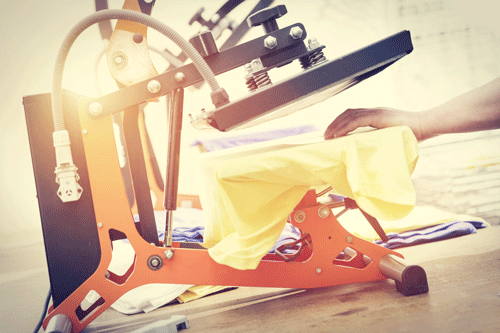 Do you need to purchase apparel for print? If you need to purchase apparel in Malaysia, what type of apparel do you need? Simple cotton tee-shirts, unbranded polyester tees or are you looking for branded apparel with specialised requirements? If you have no requirements on the type of apparel and you want it as cheap as possible, you could check out shops in Malaysia to determine if apparel is cheaper than suppliers in Singapore. 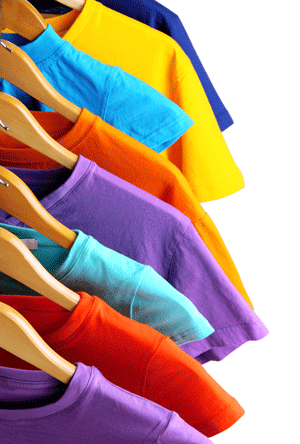 Unbranded custom t shirt is a relatively competitive market in Singapore and hence attractively priced. Shops in JB that are targeting Singapore customers (and searchable via google, Facebook etc.) may/may not be offering cheaper pricing. It depends on how much research and time you are willing to spend on looking for the right supplier and if you have the right contacts and recommendations. If you are looking for branded apparel, buying item from a reputable supplier in Singapore may be cheaper and more reliable than buying from a supplier in Malaysia. Branded sports goods in Malaysia may not be cheaper than Singapore. Do you simply need print services only? What type of print services do you need? Is it a simple heat transfer name print? If you are simply getting a custom tshirts print service in Malaysia, and bringing your own apparel, how much are you really saving? How many pieces are you printing? All these will affect whether it is cost effective to get the apparel printed in Malaysia. If you are printing a large number of pieces, you would need to arrange proper logistics (probably via car) to and from Malaysia and to be able to show the customs officers proper receipts for your custom printed T shirts (to make sure they you are not imposed tax for the cost of the apparel if apparel is purchased in Singapore). If you are buying apparel in Malaysia and getting it printed in Malaysia, there will be tax imposed when you enter Singapore. If you are printing a small amount of apparel and entering Malaysia using public transport, customs clearance can easily take up to a couple of hours each way, and it could be both time consuming and tiring. There is also the cost of transport within Malaysia to reach the shop/factory and it could take a minimum of 2 trips before orders are confirmed and ready for pick up. Is the hassle and time worth the cost savings? Do you have special requirements for the type of prints? Do you need recommendations on how to make your custom tshirts prints look great? Do you prefer digital print or vinyl print? Do you need special effect like 3M reflectives? It is important to check if the supplier in Malaysia is familiar with and has the expertise to provide best advice on the type of custom print suitable for your job. Before the print commence, do you want to see a sample? Do you want to see a layout of how the print will look on the T shirt? If you want absolute piece of mind, we would suggest looking for a reputable printer in Singapore as it is more convenient for you to meet up whenever needed to look at samples, mock up, etc. At Ark Industries, we take utmost pride in our quality and service for custom tshirts. We situate our production line in Singapore for better quality control and speedy turnaround time. We could had shifted our production plant to Malaysia for cheaper rent and cheaper labour, but that would mean a greater risk of miscommunication, affecting production quality. We believe that getting your apparel custom made in Singapore is still the better option.